Over the last few years, we have picked single barrels from Smooth Ambler, Four Roses, J. Henry & Sons/strong> and Journeyman Distillery. This year's handpick comes from Dekalb, Illinois. This single barrel is young. It smells of saw dust and caramel. It's spicy on the palate and the finish has a mix of delicious cherry and vanilla notes. After you attend #BourbonWomenNight, we're sure you'll want to plan a trip down to Kentucky, so visit the The Louisville Convention & Visitors Bureau website and learn more about all there is to do and see in the bourbon capital of the world. 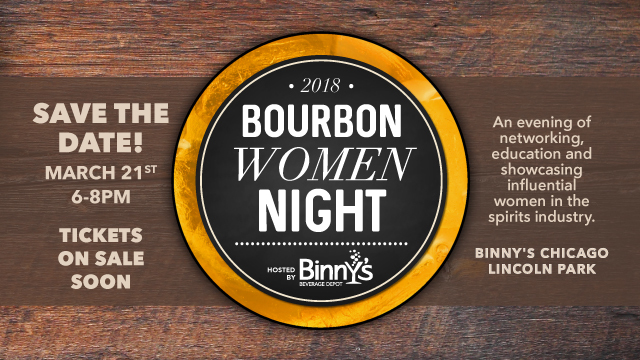 Click here for more information on how to join Bourbon Women. Visit our events page for info on upcoming tastings and fun happenings at your local Binny's.